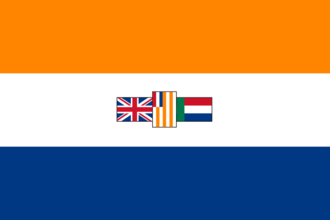 Eight years after the Second Boer War (1899-1902) the British Parliament created the Union of South Africa and granted it nominal independence. After the Statute of Westminster in 1931 the dominion was granted full sovereignty and got a new democratic regime. The National Party and the South African Party merged to be called the United Party and was elected into office. When the war came in 1939, the president didn't want to join the war so he was replaced and South Africa joined the war on the side of the allies on the 4th of September 1939. Although the Afrikaans-speaking white population was substantially anti-British, a very large percentage of the "English" population served in many different theaters of the war (most notably North Africa) and aided in the war in the air. South Africa, along with other nations of the British commonwealth, gets a unique national focus tree as part of the Together for Victory expansion. Without the expansion South Africa utilizes the Generic national focus tree. South Africa makes war preparations, mustering its industrial capacity as well as constructing strategic defensive forts. The first focus of the branch requires more than 20% world tension OR an authoritarian government. The final focus of the branch, Expand the Cape Corps, removes the recruitment factor penalty imposed by the ‘History of Segregation’ national spirit, bolstering its army reserves available for muster, though it is mutually exclusive with another focus, Outlaw Strikes, which increases industrial output. South Africa starts out with many of the 1936 technologies. While strong on ground, they only start out with the Destroyer I and Transport Ships researched; fortunately, the nearest threats are the distant Italians and Japanese and these destroyers suffice for engaging any convoys passing off South Africa's coast. They start out with the Grand Battleplan land doctrine and the Fleet in Being naval doctrine. At the beginning of the game they only have two research slots, but more can be obtained by obtaining national focuses. These are the choices of design companies and theorists for South Africa. In both start dates, South Africa is a member of the allies with particularly strong diplomatic ties to the UK, but because of domestic politics it is not certain that South Africa will join the war. With Together for Victory, South Africa starts as a Dominion of the United Kingdom and at 40% of the progress towards independence. This almost guarantees being brought into the war unless drastic action is taken to break away before that happens. By default, South Africa has no national spirits. However, with the Together for Victory DLC activated, the country will have the Ossewabrandwag and History of Segregation national spirits at the start of both the 1936 and 1939 scenario. These national spirits can be modified depending on which national focuses South Africa chooses throughout the course of a game. South Africa has the choice of six ministers, which are the same in both the 1936 and 1939 scenarios. The seemingly large potential for Chromium exports should not be allowed to impair economic growth by trade policies that allocate too much Steel for export and require active Steel imports. This is particularly a concern if South Africa does not remain loyal to the British Empire. In 1936 South Africa has a very small and poorly equipped military consisting of only three six-Infantry battalion divisions (Cape Force), three three-Infantry battalion divisions (Cape Brigade), and a single air wing of 30 Gloster Gladiator interwar fighters stationed in Transvaal. The army itself only has 30% of the equipment needed to operate at full capacity, but due to its small size and South Africa's steel industry its divisions can be fully equipped with domestically produced rifles by the end of October, if a second military factory is built. South Africa lacks a navy in 1936 and only has a small convoy fleet of 25 with no naval dockyards. However, by far the greatest hindrance to South Africa fielding a powerful military early on is their History of Segregation national spirit, present in both the 1936 and 1939 scenarios, which effectively reduces the nation's recruitable population by 55%. Despite this large penalty South Africa still has the largest recruitable population of all of the British Dominions, second only to the British Raj. In the 1939 scenario South Africa's army has not increased in size compared to 1936, is still poorly equipped, and the country has not yet developed a navy. The South African Air Force has grown significantly, however, and now consists of four air wings: one wing of 45 Gloster Gladiator Interwar fighters, one wing of 30 1936 Hawker Hurricane fighters, one wing of 12 1936 Fairey Swordfish naval bombers, and one wing of 12 1936 Ju 86 Tactical Bombers. Vickers Wellington 1936 tactical bombers are also available to be manufactured, but with only one military factory in the entire country, their production would divert resources that might be put to better use strengthening the army. If campaigning in low infrastructure/high attrition areas, (almost anywhere in Africa or the Middle East) it is recommended to use Field Hospitals and Maintenance Companies to conserve limited manpower and equipment. These are the Military Staff candidates for appointment in South Africa. Have a good strategy for South Africa?